Wait, why is Darren Elkins on the UFC Boise preliminary card? 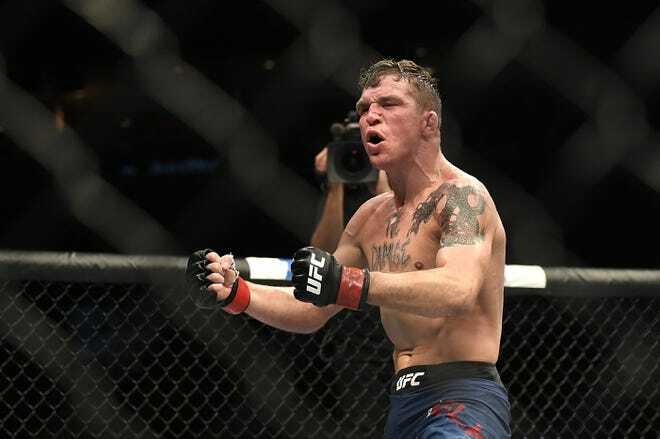 BOISE, Idaho – Your guess is as good as his when it comes to Darren Elkins' placement on Saturday's UFC Fight Night 133 preliminary card. More than eight years of UFC experience? A six-fight winning streak? Two fight-night bonuses in his past three fights? The 2017 Comeback of the Year? And the type of fighting style and never-quit attitude that's earned him the respect of fans and fellow fighters alike? Yeah, that seems like a main-card-worthy fighter if ever there were one. Instead, Darren Elkins (24-5 MMA, 14-4 UFC), who's No. 6 in the USA TODAY Sports/MMAjunkie MMA featherweight rankings, meets rankings honorable mention and fast-rising contender Alex Volkanovski (17-1 MMA, 4-0 UFC) on the FS1-televised of UFC Fight Night 133 preliminary card, which takes place at CenturyLink Arena in Boise, Idaho. RelatedUFC Fight Night 133 pre-event facts: Blagoy Ivanov in rare spot for debuting heavyweight So why wasn't Elkins given a spot on the FS1-televised main card? Sure, it airs on the same channel as the prelims anyway, but shouldn't the 34-year-old vet get a higher-profile slot? “I mean, I really don't know,” Elkins told MMAjunkie when asked about his placement on the card. “I really didn't like think I'd be on the prelims, but I'm not even going to sweat about it. “I'm a big believer of if you focus on negative things, negative things are going to happen to you.” After all, a fighter he recently beat – Dennis Bermudez – is on the main card this weekend. But Elkins said he's not going to sweat it. He's got enough else to worry about. “I just need to focus on Saturday and fighting, and we'll work out the rest later,” he said.